The dental hygienists who work with Dr. Delafraz have years of experience and can talk to you about the best ways to keep your teeth, gums, and mouth clean and healthy. Brushing your teeth thoroughly twice a day is the first thing you should do, along with flossing your teeth daily too. Choosing your diet carefully also helps you to keep your teeth healthy. Regular visits to your dentist or dental hygienist are also important. 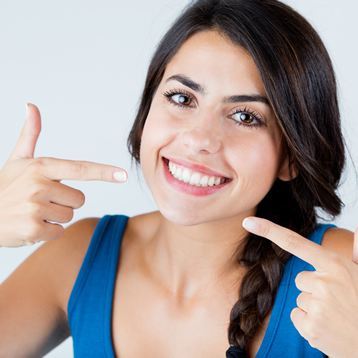 We recommend that you see one of our hygienists every 3 to 6 months to have your teeth cleaned. Your hygienist can also teach you to practice better dental hygiene, show you how to brush and floss properly and give you lifestyle tips. Our hygienists will take care to get your teeth looking and feeling cleaner to make them healthier. Not everyone knows what good oral hygiene looks like, even if they know how to care for their teeth. A healthy mouth means having teeth that are clean and don’t have any debris trapped in or on them. Gums should be pink and shouldn’t hurt or bleed when you brush or floss. Bad breath could be an indication of poor dental hygiene or another issue that you need to address. If you’re unsure about which techniques to use to maintain good dental hygiene, your dental hygienist can help you to learn them. 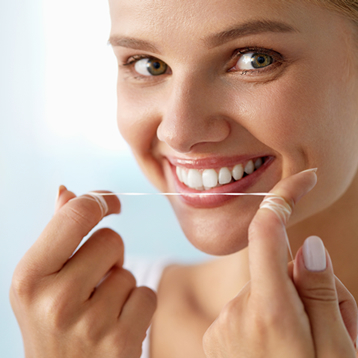 There are certain good practices you can use to brush and floss your teeth thoroughly. Your hygienist can also help you to make sure you use the right toothbrush and other products you use to maintain oral hygiene. Regular cleaning results in healthier and more beautiful teeth.